NYT is streaming The Old Magic! Check it out and listen to an interview with him on the Popcast. The real story behind one of Nick’s biggest hits! Read about it over at Haw River Vacation blog at RedEyeUsa. 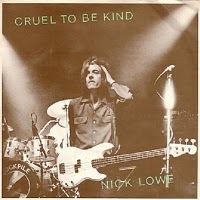 A new extensive interview with Nick by Mike Ragogna at KRUU-FM. You can read it here at The Huffington Post. 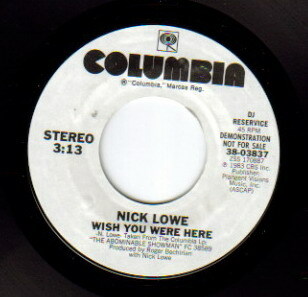 Mike Ragogna: Nick, are you there? 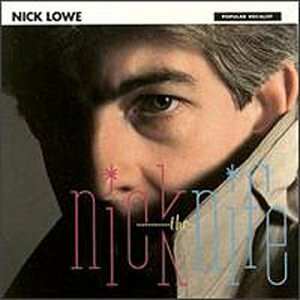 Nick Lowe: I am, Mike. Thank you. MR: Nick, your new album The Old Magic, seems like a nod to earlier periods in popular music, like a period piece. Was that the intention? NL: Well, I tend not to record albums as a “piece” because I’m not really that prolific. I’ll wait until I’ve got three or four tunes, and then I’ll round everybody up and we’ll go record them. Then, quite a long time might go by before I’ve got three or four more that I think can turn out okay. So, it’s not really a project, each record. It’s more of an ongoing work. Yeah, that’s really how it works. MR: Do you remember which songs first became associated with this project? NL: Yeah, I think one was “Checkout Time.” That was one of the first ones we did. Also, the last one, “‘Till The Real Thing Comes Along.” We did about three or four on the day we did “‘Till The Real Thing Comes Along,” but the other ones bit the dust for some reason–they just didn’t work–and that sometimes does happen. Occasionally, you can cannibalize the ones that don’t work and use bits and pieces to fit onto something else, and sometimes that’s a very happy marriage. NL: Yes, that’s right. I know you have this in the United States–folks who stand at stoplights, as you call them here, with armfuls of these roses. They don’t smell of anything and they all look the same, and it occurred to me one day as I was fending somebody off who was trying to sell me some of these roses that if you actually bought some and gave someone a bunch of these roses to apologize for something you might have done, it would be sort of the worst thing you could do. It would be almost an insult if you just bought some roses at a traffic light that someone had just shoved through your car window. MR: Nice. Nick, my favorite song on this album is “I Read A Lot.” Can you talk about that song? NL: It’s a very funny thing, songwriting…the more you do it, the more baffling the process is. You’d think if you’d done it for a few years you’d be able to turn it off and turn it on at will, but the longer you do it the more baffling the process is. When I get an idea for a song, I sort of go into a kind of trance, which can last for weeks sometimes because the great thing about being a songwriter is that you can take your work with you wherever you go. You can work away at it while you’re driving, doing your shopping or just going about your daily business, and you go into a kind of a trance. I actually cannot remember writing this song. I remember working at it very hard and being in a trance very hard for a few weeks, and then suddenly, I came out of it with a song. I think you’re right that this is a good one. I don’t really know why somebody hasn’t done this before because it’s such an obvious idea. In fact, I’m sure someone has done it before because everything has been done before. It’s very simple, and it’s about somebody who is very, very blue, and all they can do it stick their head in a book and try to escape from whatever terrible case of the blues that they’ve got, until some sort of recovery takes place. NL: Well, that’s sort of the same thing, isn’t it. Except they’re using it as sort of an illustration, rather than like my song, where that’s what it’s completely about. 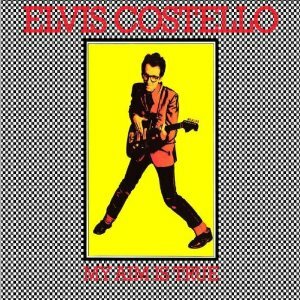 MR: I have to ask you about your covers, this time out by Tom T. Hall, Elvis Costello and Jeff West. 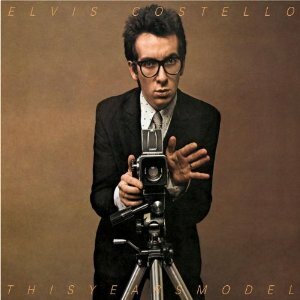 What went into choosing the covers, especially the Elvis song? 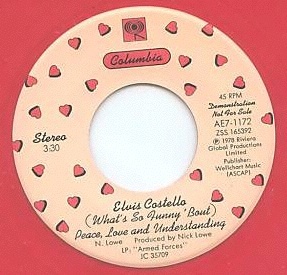 NL: Well, with Elvis’ song, it’s a song I’ve always really liked, “Poisoned Rose.” It’s from his King Of America record. I didn’t produce that record, but I always liked the song. It sounded like kind of a Charlie Rich song to me. Then, last year, Elvis and I did a benefit show for a mutual friend of ours, and Elvis had the idea of each of us doing half a dozen of each others’ songs. So, I would do six of his songs and he would do six of mine with a pickup band from the Bay area–this was in San Francisco. I thought, “Well, this will be a great opportunity for me to find a way of doing ‘Poisoned Rose’ in a way that I could actually perform it. His version is sort of histrionic, which I can’t really pull off. So, I worked up a version of it that I was quite pleased with, and I thought, “Well, maybe I’ll just show it to the musicians that I play with and see if we can’t come up with a good version of it.” So, we did about three or four takes of it, and the one on the album is the best one I think. 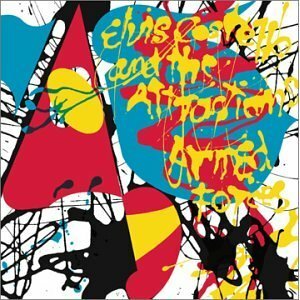 MR: Let’s talk a little bit about the period when you were producing Elvis Costello’s albums. You produced his first five albums, including that trilogy of My Aim Is True, This Year’s Model and the outrageous Armed Forces. When you think back on that period, what do you think of that body of work? NL: I’m very proud of it. I think we did some good work. We missed a few I think, but it seems like our time had come, as though someone had said, “You’re next,” and there we were with our charts. It seemed that we were in a hurry and if something didn’t work, we’d just dump it and go onto the next one. There seemed to be a million ideas, we never ran short of ideas. We were impatient, quite ambitious, and kind of pleased with ourselves as well because we were young and everyone was making a fuss over us. So, when I hear those records sometimes I think, “I wish we had spent a little more time on this,” or “I wish we hadn’t done that.” You don’t really hear too many of those tracks on the radio anymore–occasionally you do–but some of them I think really stand up and sound great. So, I’m very pleased with what we were able to do. NL: Yes. Well, I owe that song’s success to Elvis because I wrote that song for my old band, Brinsley Schwarz, when I was with them. Elvis, as a kid, was a fan of our band and he used to come see us play when we were up in his part of the world. He always liked that song, and when I started producing him he said, “Let’s do a version of that song.” He was the one who gave it that kind of anthemic quality that struck people so hard. Really, without him, that song would have died with our group. MR: Do you have similar feelings reflecting on your own body of work from that period? I mean, your back catalog features some great moments in New Wave, songs like your hit “Cruel To Be Kind” and whole albums such as Jesus Of Cool and Labor Of Lust. NL: Yeah I do, and much more with my own material because, as I said right at the beginning of the interview, I’m not very prolific. I seem much more prolific than I really am, and it’s always been like that. With a lot of my earlier records, the record company would just come knocking and say, “Right, we’ve got to have a new record. Come on. Let’s go.” As far as I’m concerned, I had to get cracking and rush a few of what I thought were half-baked ideas through. Some of those tracks people really like. But when I hear them, it’s with slightly different ears, and I think, “That bit’s overwritten. I shouldn’t have done that twice.” You get very over-critical, but what’s done is done, you know? I certainly don’t lose any sleep about it. Occasionally, back then, I got something right, but I’m much more critical about my own stuff than I am about the Elvis stuff because he was so on the ball, and he had a very good group as well. 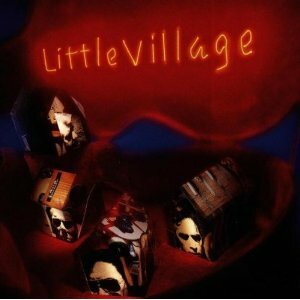 MR: Speaking of very good musicians, you were part of the supergroup Little Village with John Hiatt, Jim Keltner, and Ry Cooder. NL: Yeah, it was a fantastic experience, and one that was very timely for me. At that time, my career was sort of in the doldrums, really. There was a period in the early ’80s in my career as a pop star. I had a brief career as a pop star, where I was getting on the charts myself and I was writing records that were hits. I did enjoy it, but I was drinking a lot and all that stuff. When I couldn’t carry on anymore–which happens to most people–most people have a little go at it, and then the public moves on because they want new faces. Unless you’re somebody really unusual like Elton John, Cher or Barry Manilow, you don’t have that many years at the top. When my little time was over, I had very mixed feelings. Restaurant owners begged me to go to their restaurants, club owners wanted me to come to their clubs, and there were loads of exotic looking girls who wanted to go out with me only because I was on the TV all the time. So, that was pretty good fun, but on the other hand, I was ill. I sort of had mixed feelings. I was sorry to see it go on the one hand, but on the other, I was mightily relieved that I could finally get myself well. Also, once I laid down in a dark room for a year, so to speak, I started to wonder what I would do next. I had my pop star time over with, but I didn’t feel like I had done anything really, really good yet–something that I could carry on into middle age and beyond that would feel right, and I won’t have to keep referring back to my youth. A lot of people in the pop world have careers that go on, but they have to keep reliving their youth, and it kind of looks bad I think. So, I wanted to figure out a way to use the fact that I was getting older as an advantage. 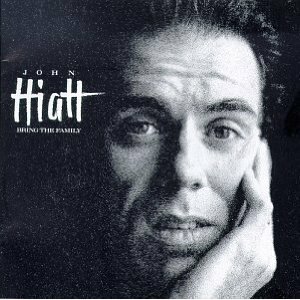 I had to really think about this and plan it, but my problem was that I couldn’t get anyone to help me with it, and just as I was wondering how I was going to do this, I suddenly got a call from Hiatt to go and do this record with him. We only had four days to do the record because that’s the only time he could get the studio and get Ry. I went over there, and it was such an amazing experience and was so useful to me in light of what I had been thinking about that it was quite a defining moment for me. It wasn’t as if I wanted to copy what had happened on Bring The Family, but that was when I knew how to proceed. In fact, I’ve just been talking to Ry now–we’ve become good friends as a result of that. MR: Yeah, the music documented on the album Bring The Family is just amazing. Look at what’s on it–”Memphis In The Meantime,” “Have A Little Faith In Me,” “Stood Up,” and of course, “Thing Called Love,” that Bonnie Raitt later recorded, it basically reviving her career when it went Top Ten. And speaking of supergroups, I also think your Rockpile roster with Dave Edmunds, Billy Bremmer, and Terry Williams was quite the supergroup as well. You and Dave Edmunds harmonizing on four Everly Brothers songs on the Rockpile album’s bonus single was a cool souvenir. 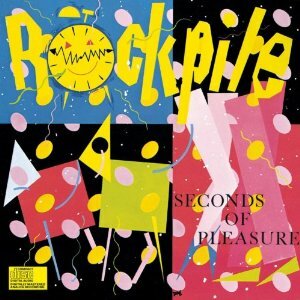 What are your thoughts on that Rockpile period? NL: Well, again, it was very good fun. Part of the reason that people liked the group so much, especially in the United States, was because we were clearly enjoying ourselves so much–we didn’t take it seriously. We were clearly having a good time, and we were, frankly, drinking too much, and the show was kind of an unwelcome interruption of the days jollifications when we used to go on tour. People used to love it because we were clearly having such a great time. But that also was our downfall because we never really worked at it. When we got together, we rehearsed a set, and that is pretty much what we did for our entire career with the addition or subtraction of about another ten or a dozen songs, I suppose. But we made a lot of records, a lot of which we couldn’t really reproduce on stage. We were a straight-ahead rock ‘n’ roll group, and I always described it as playing Chuck Berry music at double the speed. It was very good fun, and we really enjoyed it, but I couldn’t do it again. We’ve had a few offers, like everybody has from that era, to get together and do a tour. But I just don’t think I’m capable of doing that again. MR: It’s hard to go back to shows being a break in the jollification. NL: (laughs) I definitely couldn’t do that anymore. Also, I just don’t think it would be the same. I think people would be disappointed if they saw it now. There is something very disagreeable about seeing four old men up there trying to recreate their youth. MR: On the other hand, I’d bet you people would pay good money for that. Nick, since you’ve had such an incredible career, what advice would you give to new artists? NL: Well, it’s a very tough question, that, because I think it’s much more difficult now than it was when I started. It was very straight ahead when I started out–you just had to practice, and eventually you got noticed, whereas now, you don’t really have to practice, you just have to have a bit of an idea and get on the internet. But everybody else is doing that. So, there’s this sort of tsunami of ideas out there, and getting your idea in front of the public for them to notice is incredibly hard. I really don’t know. I don’t really even know if there will be a pop business in a few years’ time. Things are changing so much that it’s really very difficult for me to give anybody any advice. MR: What about advice from a creative perspective? Are there any things that you’ve learned along the years about song constructing or how to behave in a band, or…? NL: I understand what you’re trying to get me to offer up, but I must admit I’m kind of void of ideas at the moment. 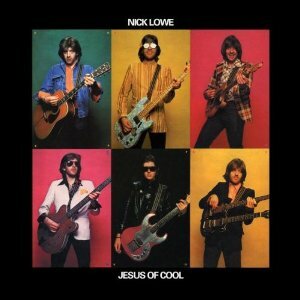 MR: By the way, I know it’s random to mention at this moment, but my favorite Nick Lowe album? 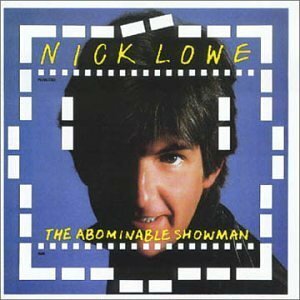 The Abominable Showman. It’s got “We Want Action,” “Raging Eyes,” “Tanque-Rae,” and one of my favorite songs by you, your duet with Paul Carrack, “Wish You Were Here.” I think you were robbed with that single not being a Top Ten in the US. I Love Nick The Knife a lot too. What a catalog. Okay, let’s move on to “House For Sale” from The Old Magic. What is the story behind that song, and is it something specific and personal? NL: No, not specific at all, just a pop song. One day driving along, I saw that written up–”House for sale.” It’s a phrase you see everywhere, all the time–not particularly because of the times we’re living in at the moment, but just in ordinary day-to-day living, you see that phrase. One day, it just struck me that it had some melody to it, and I thought that it could be fun to hang a little song around it. It’s a very straightforward song without any hidden meaning in it, and it’s certainly not autobiographical. I don’t really do too much autobiographical stuff. I know what I’m writing about, but I don’t put my diary to music, if you know what I’m talking about. MR: I do. But aren’t you also “Sensitive Man”? NL: Oh, without a doubt. Boundless sensitivity. That was a song that came about as I was reading Peter Guralnick’s excellent book about Sam Cooke, Dream Boogie: The Triumph Of Sam Cooke, and I came up with this song. It sounded so much like a Sam Cooke song that I couldn’t use it–it was like the Sam Cooke song that Sam Cooke didn’t do. So, I left it for about a year, and then one day, I got it out of the box mentally, so to speak, and started fiddling around with it, and out that one came. By the way, back to your other question, I can think of some advice, though it’s not particularly original. It is to be nice to people on the way up–that one–because you’ll meet them on the way down, and that is a good piece of advice. I think that’s as good today as it always has been. MR: Perfect. Nick, man, I wish we could just keep going on, but I know I have to let you go. I really, really appreciate you taking the time to talk with me today. You’re one of my favorite artists and it was honor talking with you. NL: Not at all. Thank you for having me.